Enjoy a great dinner & solve a murder! at Kingston's Grass Creek Park! 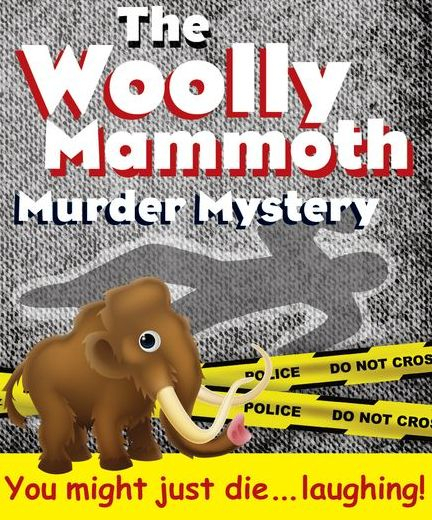 One huge mammoth rib bone is found and so much at stake! Dr James John Brookfeld, formerly of the Harvard Woolly Mammoth Revival Team, is in Kingston to announce the discovery. He is joined by his wife Rebecca, a documentary producer; Judy Jennings from Thrill-A-Minute Theme Parks; and Mike Abrams, a senior executive from Blue Turtle Casinos International. As well, a reporter from Enquiring Scientist is on hand to write a feature article. This is big news for Kingston -- and the world! The evening is a huge success... until someone is murdered! Have dinner, have fun and help the detective figure out "whodunnit!?" Order tickets today -- last show was SOLD OUT! Tickets for dinner & show include gratuity; $69.95 + HST. Your receipt is your ticket (tickets will not be mailed). Mr Spot Mysteries are written for an adult audience. There is no swearing and nothing you wouldn’t see/hear on prime time television. There is some risqué material and double entendres that may not be suitable for children. Having said that, children as young as 5 have enjoyed the show and the strange cast of characters. They love playing detective! Please click link below to buy tickets.